No mention of ‘bitcoin,’ ‘blockchain,’ ‘cryptocurrency’ or ‘ICO’ in Mary’s new report or in her live presentation at Code. Back in the roaring 1990s, Mary Meeker was dubbed ‘The Queen of the Internet.’ She earned this distinction for publishing highly comprehensive annual Internet trend reports as head of Morgan Stanley’s global technology research team, and her success in translating the ‘Internet Age’ into a language Wall Streeters could understand. To this day, the VC-backed world still anxiously devours her annual reports including all 294 slides in her newly minted 2018 report. Online sales grew 16 percent — up from 14 percent. Conversely, physical retail sales are continuing to decline. Amazon’s dominant share of e-commerce grew to 28 percent in 2017 versus 20 percent in 2013. Social media increasingly leading to product discovery and purchases. Share of social media driven e-commerce referrals up to 6 percent from 2 percent in 2015. 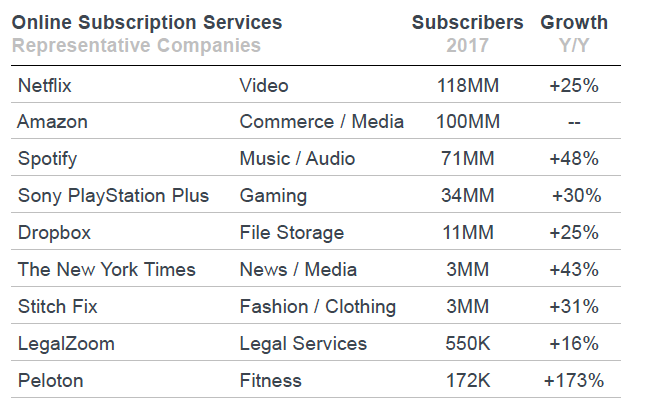 Online subscription growth is up driven by selection, personalization and ease of use. The shift to mobile advertising continues. 29 percent of the time people are consuming content they are on a mobile devices, but mobile is only getting 26 percent of the overall ad spend, representing a $7B opportunity to fill the gap. China had over 500 million active mobile payment users in 2017. User interface simplicity is driving mobile app usage for messaging, commerce and media. The only slide out of 294 including in the trend report that even hints that something big may be happening in the crypto world. 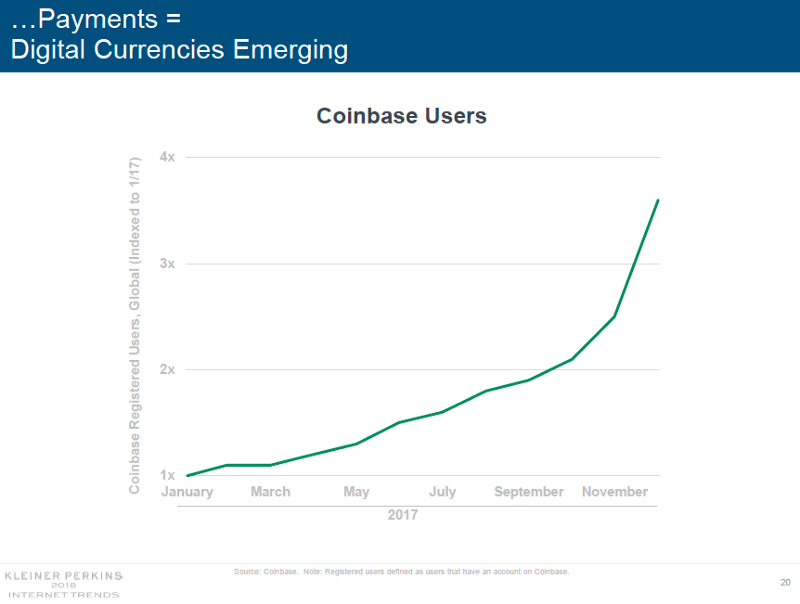 Coinbase generated over a $1B in sales in 2017 and its business could jump 50 percent this year. Facebook owns 3 (WhatsApp, FB Messenger, IG) of the top 5 messaging apps in a booming market where extensibility is expanding. Mobile video adoption continues to grow rapidly fostering new content types like Twitch which features its most popular game Fortnite. Voice-controlled products are booming — Amazon Echo installed base in US grew by 10M in Q3 of 2017 to more than 30M. Tech companies accounted for 25 percent of US market capitalization and the speed of technological disruption continues to accelerate. China is home to 9 out of 20 of the biggest Internet companies by market cap — US has 11 versus 5 years ago when China had 2 and the US had 9. More than half of the most highly valued tech companies in the US are founded by first or second generation immigrants. Uber, Tesla, WeWork and Wish all have first-generation founders. Household debt is at highest level ever and rising, savings rate is falling (3 percent), and personal debt-to-income ratio climbing (22 percent). Office space is steadily getting denser and more efficient. The workplace continues to virtualize with on-demand and internet-related jobs starting to predominate. The rate of ‘on-demand’ workers grew 23 percent in the US to 5.4M. People desire more flex time and ability to work at home. All great stuff. Thank you Mary. What was shockingly missing in this report was basically everything I have been thinking about for the last year and a half. Adding to the irony was the report included many dozens of powerful jumping off points to take the trends outlined in the report to the next level. The report astutely calls out Big Tech’s ‘privacy paradox’ — The fact that the Facebooks and Googles are caught between using personal data to provide better user experiences and violating consumer privacy. This is a huge issue. A backlash has been brewing for sometime, with Facebook and Zuck taking the brunt of the attack. People are beginning to question where the online Goliaths’ stand on the most pressing issues of our time — online privacy and security, freedom of expression, and trust in media and public life. This is disruption in the making. As crypto entrepreneur Chris McCoy (see below) has observed, it is becoming clear that sometime soon in our crypto powered future, individuals will protect all the meaningful data they own and create online with public and private keys. Users will then have the option to program their keys and allow applications like Google and Facebook to buy the cryptographic tokens to gain access to their data. These tokens will power the future apps, algorithms, newsfeeds, and AI of the these centralized companies and beyond. This approach would give users complete power over their privacy and data, forcing the big brands like Facebook and Google to share revenue with their most valuable users. Instead of dollar-based revenue, it will be revenue in the form of cryptographic tokens — tokens that are exchangeable for real dollars. This will happen. Several new blockchain companies promise to collect your personal data and help you monetize it, including: Algebraix, Opiria, and Zenome. A thorough discussion of the possibilities here can be found in David Siegel’s essay, Ad Agency of One, altough I differ with some of his conclusions. I am betting the personal data re-selling business will offer an opportunity for those who take the time to discover and tap into growing universe of blockchain apps and services a way to earn life-changing supplementary income. The new generation relishhes having complete power over their privacy, and will delight in forcing big brands like Facebook and Google to share revenue with their most valuable users. This will happen. The report also rightly focused on the health care industry opportunity. Smart investors like Benchmark are all in on the health care boom. But nowhere in the report was there mention of the underground movement to create a world where individuals manage their own personal data on the blockchain, including health records. Imagine a world where you can control and manage your own health records on the blockchain and your can provide access to this data and history to the doctors and care providers as you wish. A great example of a project that stores medical records on the blockchain to assure complete privacy and at no cost to user is MediChain. MediChain is unique as their platform also allows patients to opt-in and let researchers use their data anonymously to gain insights and help preempt and develop cures for a variety of diseases and infirmities. Another new project, Zenome, provides a way to resell differnt parts of your genome for a profit. The Internet report was also full of slides covering payment systems and e-commerce, but didn’t come close to touching on the real potential of emerging decentralized transactions systems. On the day the report was released, I had a meeting with Chris McCoy the creator of Storecoin, a bold new blockchain-based zero-fee payment platform. 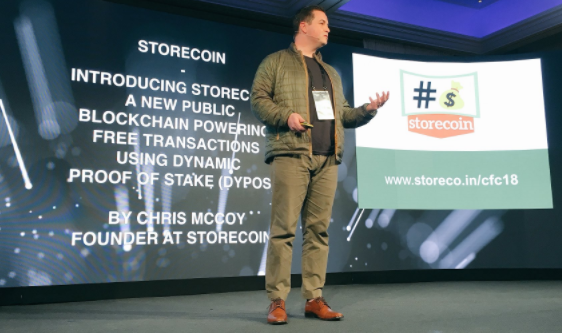 Backed by TechCrunch founder Michael Arrington of Arrington XRP and Ari Paul/BlockTower Capital, Storecoin offers high transaction throughput, true decentralization, and zero transaction fees for the customers. The project has eyes on taking on VISA with a faster, zero-fee, programmable, p2p payment system. If Ripple is taking on SWIFT payments, Storecoin is taking on ACH payments. Other than its cutting edge approach to building out the blockchain for higher transaction throughput potential, StoreCoin’s token-economics strategy may be its most valuable if not innovated asset. Storecoin’s native currency, STORE, uses a sustainable inflationary monetary policy to achieve zero-fee transaction fees for merchants, developers, and end users. Inflation is dynamically pegged to the number of tokens staked by what McCoy calls ‘dWorkers’ — i.e. globally distributed digital workers — who are rewarded with STORE coin for contributing resources to the protocol’s validation, governance, security, and scalability mechanisms. The rate of inflation grows proportionally to the growth of total value staked, reaching a hard cap at 51 percent of total supply staked — at this limit, annual token inflation flatlines at 1 persen to 4 percent. (Storecoin is still in R&D on its final starting yearly inflationary rewards cap). Storecoin is structured to become a non-profit at public launch in 2019, and represents the kind of potential market disruption that could eventually topple the financial behemoths and disintermediate the billions of dollars they have invested in centralized data systems. These are just a few examples of where I believe innovation is trending. The bottom line is the decentralization of data storage and ownership promises to dramatically upend the status quo, cutting out intermediaries and centralized platforms and replacing them with token-based, peer-to-peer transactions executed via ‘smart contracts’. Over time, a dramatic portion of the money and resources that currently funds large centralized systems will be distributed out on the blockchain and maintained by a global ring of token earning ‘d-workers’ at a fraction of the cost. This is the biggest Internet trend. Why none of this crypto babble earned a mention in Mary’s report is a mystery as one can be assured she is aware of the blockchain movement. Maybe it isn’t the purpose of her report to look at this really early stage, mostly unproven entrepreneurial activity. Maybe she just doesn’t believe that the blockchain will ever be hack-proof enough to take on the established players. 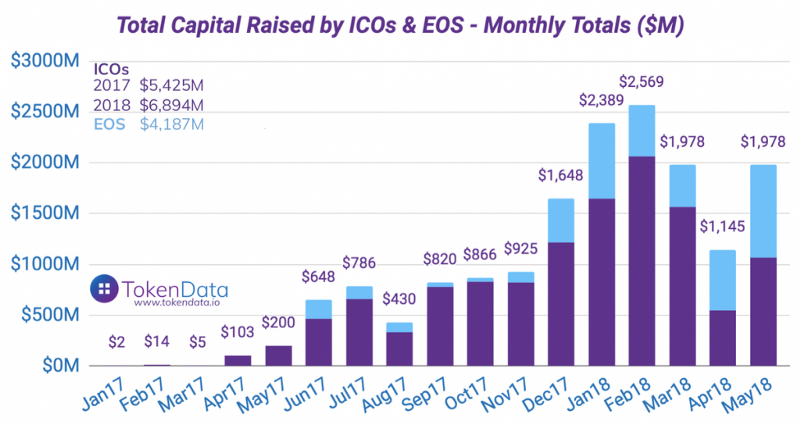 At a minimum Mary should have at least noted that since the Ethereum ICO in 2015, we have experienced and unprecedented ‘ICO wave‘, with over $4B raised in 2017, and an incredible $7B raised in the first five months of 2018. And the 2018 number doesn’t even include the EOS ICO which generated $4B in new capital for their project. This alternative fundraising mechanism is certainly disrupting the VC business, and I will stick out my neck and predict that it will end up democratizing venture capital into a much broader, but lower margin business. Maybe the crypto boom is a signal of the end of the old New World Order parked on Sand Hill Road and the trendy back streets of San Francisco. One of the most powerful values of Mary’s annual report is its global view, including chronicling the rising Chinese dragon over the last several years better than most any financial analyst. As digital technology becomes more pervasive in our lives and Big Tech companies represent a greater and greater share of total market capitalization, the more the innovation industries are impacting and driving global culture. If what’s happening in the streets of innovation today are any indication, the world is definitely moving towards a more popularist, peer-to-peer, and self-empowered mind set. The New York Times recently published excerpts of the book, The World As It Is, a forthcoming memoir by Obama confidant Ben Rhodes. The book touches on a shifting geopolitical climate as Obama was making his exit from the world stage that included Brexit and rising disenchantment with globalism. What both Sand Hill Road and Washington need to understand is the new breed global citizen perceives ‘globalization’ as ‘centralization,’ and centralized power is the enemy. Facebook and Google now represent the dark side, and the World Economic Forum at Davos, the Clinton Global Initiative and even the United Nations have all gone out of fashion. The most important mega trend today is it’s ‘power to the people time.’ And the people will be, if they are not already, grateful that Sotoshi Nakamoto and the gallant blockchain innovators who followed him are literally giving us the keys to the new New World Order.